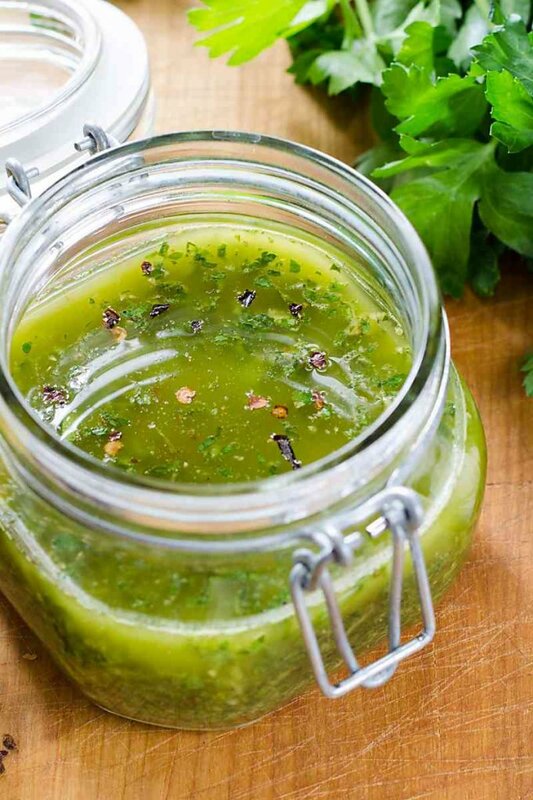 This fresh sauce is great on chicken, salmon or fish, or as a side on zucchini zoodles or spaghetti and sprinkled with Parmesan cheese. Dovetailing Tip: When making this sauce, double the recipe. Save half to toss with zuchinni noodles for Meal 4, Chimichurri Zoodles. Combine all ingredients in food processor, and pulse until parsley and garlic are finely chopped.